I had an entire week to hunt. Saw several moose and ended up shooting a nice bull on day 9. 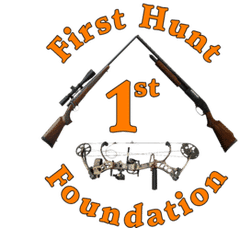 How likely will you be to refer friends to Outdoors International about this hunt? How was the outfitters pre-hunt communication ? How would you rate the overall trophy quality? How would you rate the lodging? How would you rate the food? How savvy/knowledgeable was your guide? How was the Field Dressing and Trophy Preparation? Were you successful or unsuccessful? Were you happy with the overall experience? Yes, Got to experience a true wilderness adventure and got a nice moose. How physically difficult was the hunt? Is there anything that the outfitter should do differently in your opinion? Please prepare first time hunters to Alaska about delays with weather etc. As an experienced Alaskan hunter I understand that flying is weather dependent and and that is the biggest complaint that I hear . Brother in law shot his moose and the first day that we could hunt. We spent that day and the next butchering his moose and getting it ready for the pilot to fly in and pick up. I had an entire week to hunt. Saw several moose and ended up shooting a nice bull on day 9. Flew out the next day. We saw a wolf and I missed an easy shot at it. Buy wolf and bear tags . We did not see a bear, however, we did see a lot of bear sign. How likely would you be to refer Outdoors International booking services to your friends and family? How were your conversations with your agent? How was your agent’s pre-hunt correspondence? How was your agent’s post-hunt follow up? How savvy/knowledgeable was your agent? What would you like to see us offer or do more of or do differently? Prepare hunters for the flat terrain. Not mountainous and also hip boot were a must. Not an option. Hunted in them every day.